Some say that the cornea is perhaps the most important part of the eye; and if this is the case, patients will need to obtain the best corneal care possible from an experienced cornea specialist like Dr. Goosey. For most of the population, when people think of an eye doctor, they think of generally seeing an optometrist for eye exams, and for obtaining new eyeglasses or contact lens prescriptions. However, when there are more serious vision problems that require specialized treatment, a cornea specialist who performs corneal surgery can provide the necessary level of care. Vision is one of the most important senses, and eye problems often require the care of an expert like Dr. Goosey. Cornea specialists have experience and specific training in treating an array of corneal issues from dry eye and cataracts, to keratoconus and corneal transplantation. 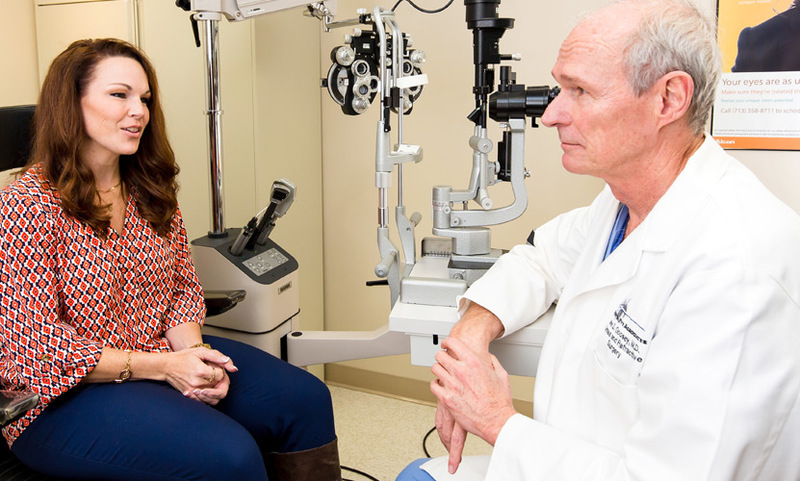 Dr. Goosey is a board-certified corneal surgeon who has been providing superior corneal care for over 30 years, specifically in laser-assisted surgeries like LASIK and cataract surgery. Many inflammatory and infectious diseases require specific corneal care treatments that only a cornea specialist can provide. In fact, other doctors come to Dr. Goosey for their vision care! A consultation with Dr. Goosey will be much like visits with other doctors, except as a specialist and eye surgeon, he will focus on issues and complications pertaining to the cornea and related vision correction needs. Dr. Goosey will consider your overall eye health and medical history, perform a thorough examination, and may conduct special tests based on exam results and reported symptoms. Once your eyes and corneal health are assessed, he will medically recommend the appropriate treatment technique and/or surgery to help correct your sight and restore optimal vision. If you are looking for the best corneal care specialist, you are on the right website! Contact Dr. Goosey to schedule an appointment today! Considering LASIK surgery? You’ll get the best care with Dr. Goosey!